It was the best of times, it was the worst of times – the iconic opening line from “A Tale of Two Cities” by Charles Dickens. 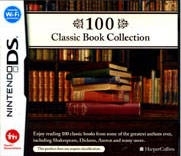 Well, now you can definitely enjoy the best of times with Mr Dickens and scores of his fellow writers with the 100 Classic Book Collection on Nintendo DS! 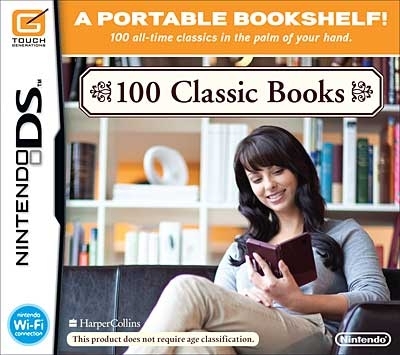 Turn your Nintendo DS into a pocket-sized library with 100 timeless novels from some of the greatest writers in history. Enjoy the exciting escapades of the swashbuckling Long John Silver in “Treasure Island”, marvel at the redoubtable skills of the most famous detective of all time in “the Adventures of Sherlock Holmes”, or run the course of true love with Elizabeth Bennet in “Pride and Prejudice” – the choice is yours! Entering this world of words couldn’t be easier – simply hold your DS like a book and use the stylus to effortlessly turn the pages. You can adjust the text size to whatever suits you best and a bookmark feature means dog-eared pages are a thing of the past. Can’t decide what you’re in the mood for? 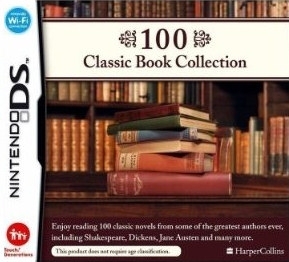 The 100 Classic Book Collection allows you to search for books in a number of different ways, such as subject matter and length, meaning you can find a suitable story in seconds. 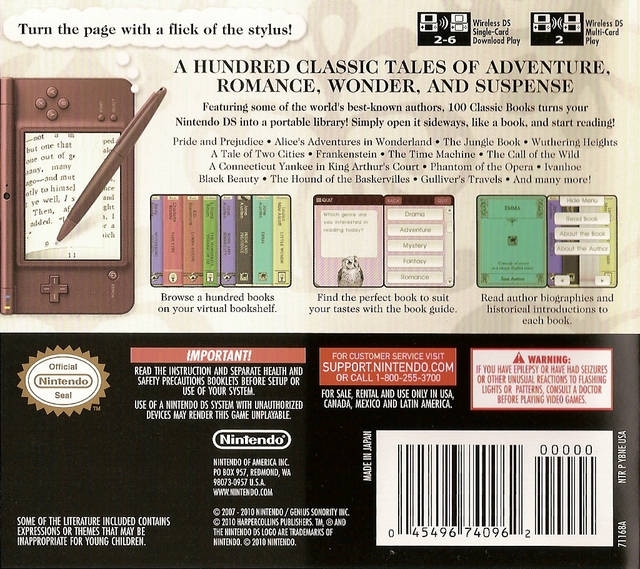 As well as the novels, you can access book introductions and find out more on the authors themselves – there are also additional books that you can download via Nintendo Wi-Fi Connection! Comes out in June, and isnt this the same as those digi readers being sold like crazy now? except here you get 100 books! So what year is the public domain on now? Tried the Demo on the Nintendo Channel that includes Romeo and Juliet. Some really great features and well presented but until a collection comes out with books I'm interested in comes out I'll leave it alone. 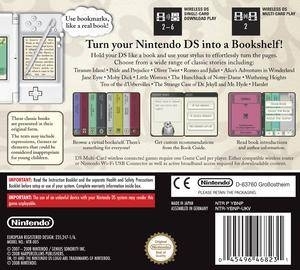 Would be great if they could bring out a children's book series with pictures and small animations on the DS as well. I agree. I like seeing my hundred of books on m self. And its easier on the eyes to read a physical book. I am trying to understand this. Who wants to save shelf space this way? Books look good in your shelf. It's where they're supposed to be. Also isn't it harder to read books this way? I mean according to studies (and myself)?